No bride ever want to say ‘I do’ in a wedding ceremony she won’t be proud to talk about or show off her wedding dress in the future. 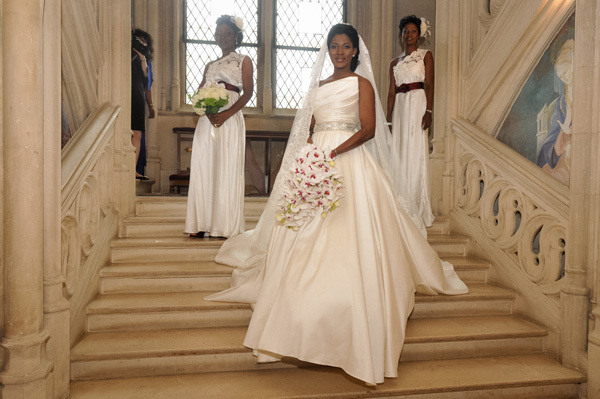 You want that kind of wedding that not only leave everyone breathless but earn a page in a style book. 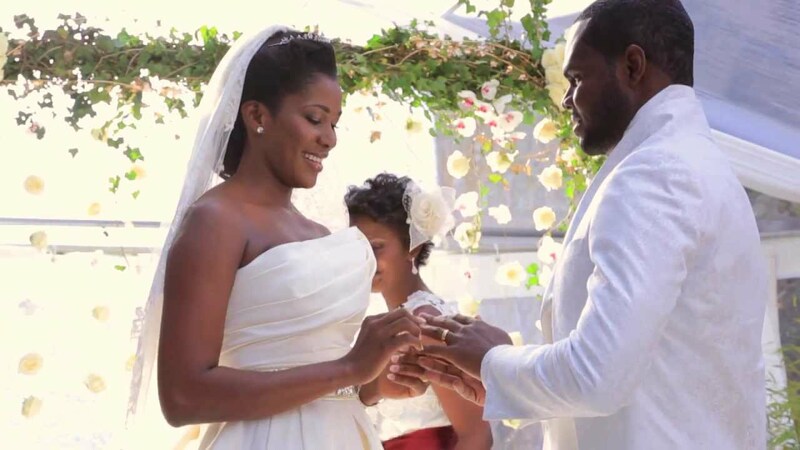 That is why when actress Stephanie Okereke celebrated her 5th wedding anniversary on Friday with some chic pictures, we couldn’t help but kept staring. First of all, congratulations are in order for making it this far. 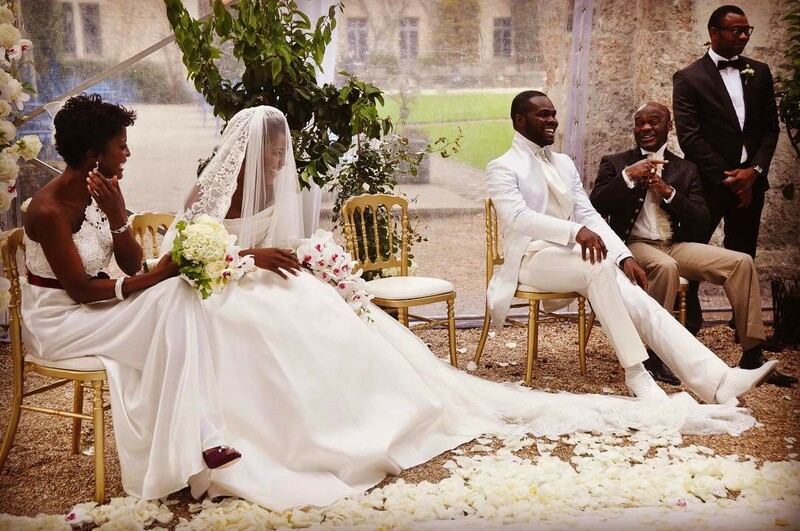 In case you didn’t notice, the actress had the chicest wedding ceremony and if you have to marry soon, the inspiration from her wedding looks alone are satisfying. In her wedding, there was nothing like the conventional rules — Steph, her husband, including bridesmaids, flower girls and boys went full on white, and it was refreshing. 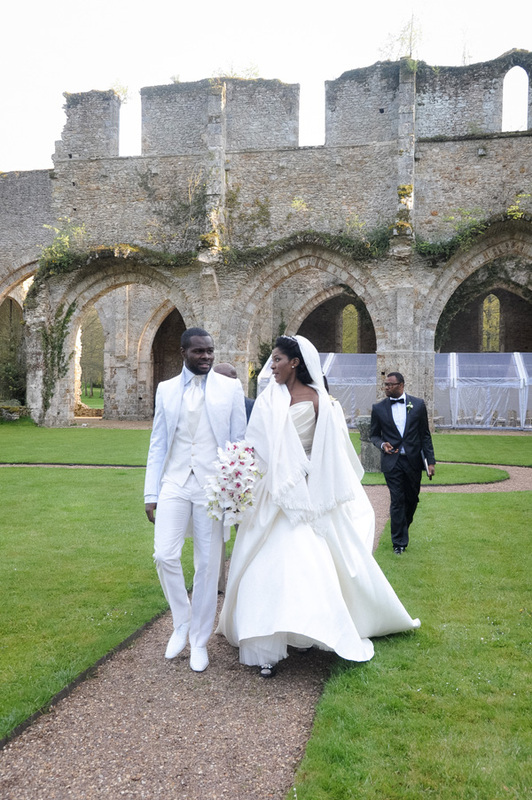 The bride looked first class wearing a billowing, nipped-in waist, strapless gown that showed off her toned shoulders, while the groom went head-to-toe in white. 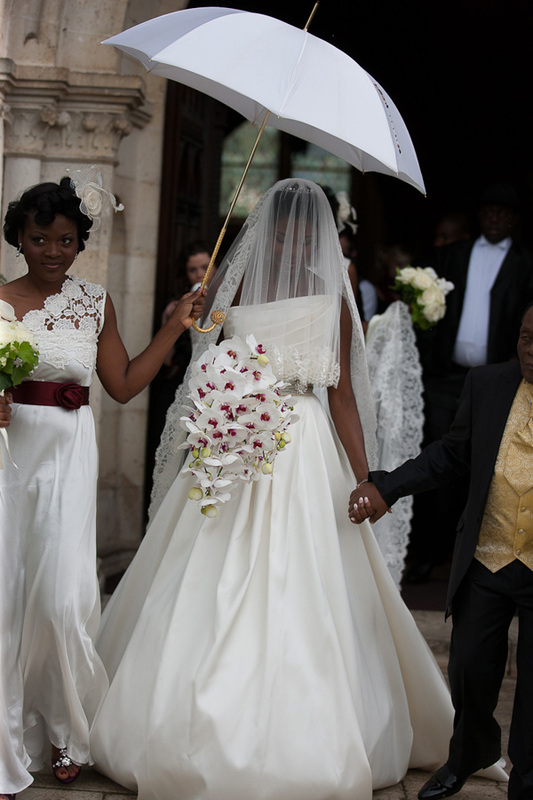 Did we mention her two bridesmaids? 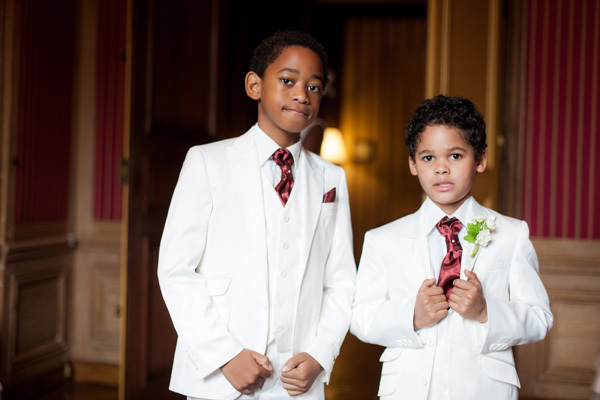 There were looking incredibly chic in white as well but with a touch of burgundy and so does the flower girls/boys.